Written by Janet Choi on February 4, 2015 . Cross that newsletter off your to-do list and get to the rest of your day! 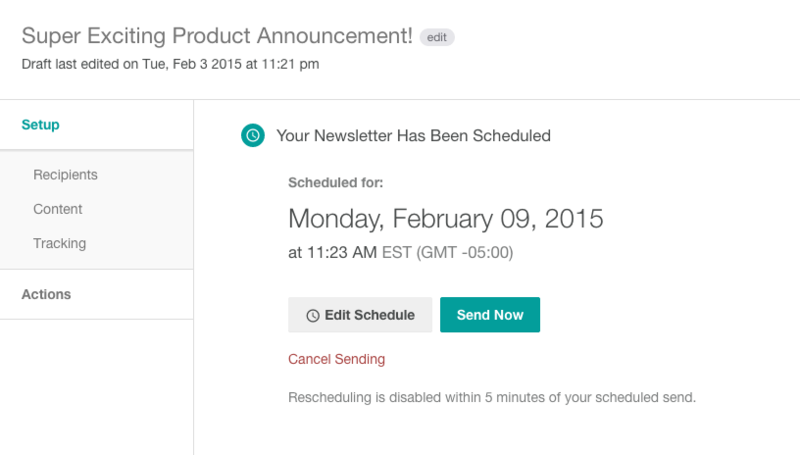 Now you can schedule all your newsletters in advance. We’re delighted to add this frequently requested feature that enables you to set newsletters to go out automatically, saving you time and stress. No more staying up or twiddling your thumbs waiting to hit “Send” at the right time! 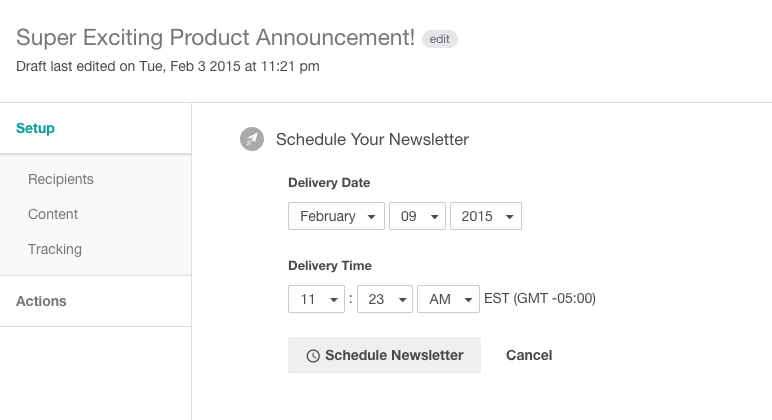 When you’re ready to send your newsletter, navigate to “Setup” and click the “Schedule” button. Choose the delivery date and time. (The default timezone matches your current local timezone.) Then click “Schedule Newsletter”. Note that we’ve disabled rescheduling within 5 minutes of your planned delivery time to make sure your newsletter arrives safe and sound in your readers’ inboxes. As always, we’d love to hear your thoughts as we continue improving the product. Would you find scheduling in different timezones helpful?